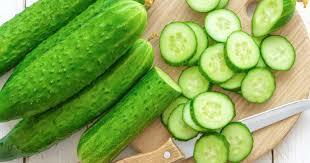 Cucumbers belong to the same plant family as squash, pumpkin, and watermelon (the Cucurbitaceae family). Like watermelon, cucumbers are made up of mostly water- 95 percent! However, there’s reason to eat cucumbers all year long. With vitamin K, B vitamins, copper, potassium, vitamin C, and manganese, cucumbers can help you to avoid nutrient deficiencies that are widespread among those eating a typical American diet. Plus, cucumbers contain unique polyphenols and other compounds that may help reduce your risk of chronic diseases and much, much more. Frost Valley has produced over 149 pounds of cucumber this year at the educational farm. All of which is used in the meals served in the Thomas Dining Hall and East Valley Ranch.